Over the past month, we have had some of the most anticipated matches of the year either fail to materialize or not live up to the hype. 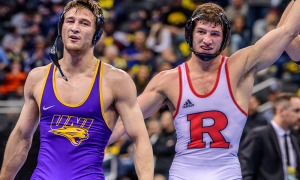 Thankfully, this week we had a one vs. two matchup at 149 lbs that featured in-state rivals battling in a tight dual and the action in the match itself was worthy of the buildup. If that wasn’t enough, we have found nine other top performances from the last week of wrestling. Two dominant wins on Saturday brought Rayvon Foley’s 2018-19 record to a sparkling 26-1 mark. 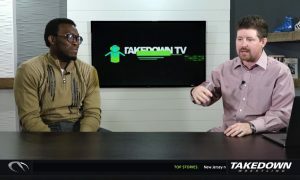 Foley has not received the attention that some other top contenders at 125 lbs have gotten, but he keeps racking up wins and is currently ranked seventh in the country. The Spartan earned two major decisions on Saturday over Willy Girard (Bloomsburg) and Bryce West (Northern Illinois) to extend his current winning streak to 11 matches. 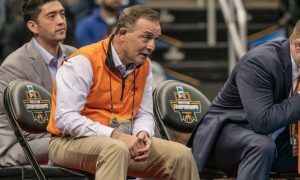 Only once this year has Foley tasted defeat, and that was at the hands of unbeaten Nick Piccininni (Oklahoma State) in the finals of the Reno Tournament of Champions. In 19 of his 26 wins, Rayvon has been able to rack up bonus points, including each of his last six matches. Last year, as a true freshman competing in the Big Ten, Foley qualified for nationals after placing seventh in the Big Ten. The Penn Quakers picked up two Ivy League wins on Saturday, 18-16 over Brown and 35-6 over Harvard. The Quakers did so despite starting an astounding seven freshman in both dual meets. Remember these are all true freshman too, because Ivy League schools are not allowed to take redshirts officially. Now this group is very talented, the recruiting Class of 2018 was ranked 13th in the nation by TOM. One of the leaders of this gang of first-year students is 149 lber Anthony Artalona. Anthony won both of his matches on Saturday to extend his season record to 18-3. He is currently ranked 14th in the country and is the second highest EIWA wrestler at the weight. Another standout this season for Penn has been their 125 lber Carmen Ferrante. Carmen won both of his matches by major decision and has ran his season record up to 18-5. The two dual meet victories bring the Quakers record on the year to 3-5 overall and 2-3 in the EIWA. 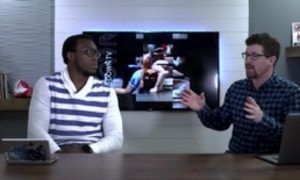 The Cornhuskers started the 2018-19 season with Christian Lance and Patrick Grayson sharing starting duties at 285 lbs and the duo saw all action in dual meets and into the Cliff Keen Las Vegas Invitational. After Vegas, David Jensen stepped in and has not looked back. By winning his first 11 matches of the year, Jensen has taken a firm hold on the heavyweight spot in Nebraska’s lineup. In two of his first three duals this season, David knocked off returning NCAA qualifiers Cory Daniel (North Carolina) and Conan Jennings (Northwestern). This week Jensen went 2-0 with wins over Christian Colucci (Rutgers) and Sam Stoll (Iowa). 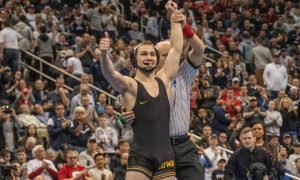 The 3-0 victory over Stoll gave the Hawkeye his first loss of the season and now puts Jensen on a three-match winning streak. Ryan Deakin earned his spot in the top performances after getting an 8-0 major decision victory over the sixth-ranked 157 lber Ke-Shawn Hayes (Ohio State). 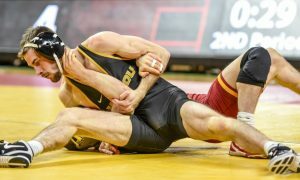 Both Deakin and Hayes were in the 149 lb weight class last season, and though they did not meet, it was Hayes who placed higher at the Big Ten Championships and advanced farther at the NCAA tournament. The win over Hayes marks the first time this season that the Buckeye has given up bonus points. Ke-Shawn is also the fifth wrestler, currently ranked in the top 11, that Deakin has downed this season. Ryan is now 20-2 overall with 12 bonus point victories and currently sits at number three in the national rankings. A road trip to Oklahoma resulted in a pair of victories on Saturday and Sunday for Lehigh’s Ryan Preisch. Ryan was one of only two Mountain Hawk wrestlers to emerge from the Sooner State 2-0. Saturday, Ryan was able to dispatch 2018 NCAA qualifier Kayne MacCallum (Oklahoma) by the score of 7-1. 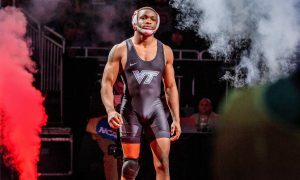 The test on Sunday was much greater, as he would face off with All-American Jacobe Smith (Oklahoma State), currently ranked ninth in the nation. Preisch used takedowns in the first and third period to earn an 8-3 victory over the Cowboy. The last time Ryan was on the mat, he had his 11-match winning streak broken by longtime rival Zack Zavatsky (Virginia Tech) 6-2. Preisch has rebounded nicely and now has a season record of 15-2. Heading into Saturday’s dual with Maryland, freshman 285 lber Trent Hillger was in a bit of a slump. 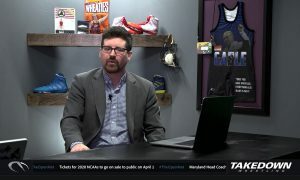 Hillger had lost his previous three matches (Gable Steveson – Minnesota, Conan Jennings – Northwestern, Anthony Cassar – Penn State) and had a match with returning All-American Youssif Hemida looming. That’s life in the Big Ten for you. Trent got back into the winning category with a 4-2 upset of the seventh-ranked Hemida. Even with his brief losing streak, Hillger has had a strong freshman campaign winning 17 of his 21 matches and earning a ranking of 11th in the country. The win over Hemida now gives Trent four wins this year over opponents currently in the top 20. The anchor at the back of the North Carolina lineup, 285 lber Cory Daniel, went 2-0 this weekend during the Tar Heels trip through Pennsylvania. On Friday night, Daniel closed out a 31-6 win over Bucknell by majoring Brandon Stokes 16-4. It was his win Saturday that was the more remarkable performance of the two wins. After nine matches against 13th ranked Pittsburgh, the team score was all knotted at 16, and Cory was facing eight-ranked Demetrius Thomas, who was sporting a 21-3 record this season for the Panthers. Daniel battled back from a 5-1 deficit to in the third period to tie the match late with a takedown, then rideout. With time running out in the sudden victory period, Daniel again struck late and secured a takedown to give his team the 19-16 win. The victory was the tenth on the season for UNC and they have won both of their ACC matches. What a week for the Bulldogs! Fresno State started with a 27-13 victory over perennial Pac-12 power Oregon State on Thursday and closed the weekend with a 21-12 upset of 12th ranked Wyoming. We have to remember that this is only the second year of competition for head coach Troy Steiner’s crew. As one may expect, Fresno State’s ranked wrestlers helped lead the way, as 149 lber Khristian Olivas and 197 lber Josh Hokit both went 2-0. 184 lber Jackson Hemauer did as well, and against Wyoming, he knocked off 20th ranked Tate Samuelson, 5-1. 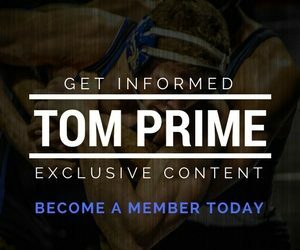 Jacob Wright went unbeaten as well, getting an injury default victory against Oregon State and then a fall versus Wyoming. Steiner’s squad now has an 8-6 record this year and is on a four-match winning streak. Taylor Lujan only had one match this week, but it was a big one. 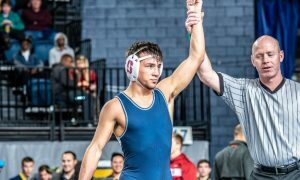 Lujan was able to knock off fifth-ranked Joseph Smith (Oklahoma State) 5-4, during the Panthers 24-9 loss to Oklahoma State. Smith struck first with a takedown; however he was almost immediately reversed by Lujan. 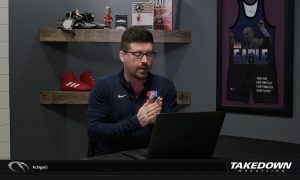 Now late in the third period, Taylor was trailing by a point 4-3, then converted a single leg for a takedown with about 15 seconds in the match. He was able to ride the Cowboy out for the victory, his first over a top-five ranked opponent this season. Lujan’s season record is now 20-3, with all three of those losses coming to wrestlers who are currently ranked in the top four nationally.